and you will hear what far smarter people than I have to say on this matter. I agree with them. For the geometric figure, see Gabriel’s Horn. Sir Gabriel Horn, MD, ScD, FRS, FRCP (9 December 1927 – 2 August 2012) was a British neuroscientist and Professor in Natural Sciences (Zoology) at the University of Cambridge. His research was into the neural mechanisms of learning and memory. Horn was born on 9 December 1927. He attended Handsworth Technical School in Handsworth, Birmingham. He left the school at 16 to work in his parents’ shop and studied part-time for a National Certificate in Mechanical Engineering, achieving distinction. He served in the Royal Air Force before studying for a Bachelor of Medicine, Bachelor of Surgery at the University of Birmingham. Horn’s first academic position was in 1956 at the Department of Anatomy, University of Cambridge as a Demonstrator in Anatomy. He became a Lecturer and then a Reader, before leaving to become Professor of Anatomy at the University of Bristol in 1974. In 1975, while at Bristol, he obtained his DSc degree. In 1977, he returned to Cambridge to head the Department of Zoology. He retired in 1995 and was made Emeritus Professor. He was Master of Sidney Sussex College, Cambridge from 1992 to 1999 and Deputy Vice-Chancellor of the university from 1994 to 1997. He remained a fellow of Sidney Sussex College after 1999 until his death; he had earlier been a fellow of King’s College, Cambridge, and was elected a life fellow there in 1999. He was elected a Fellow of the Royal Society in 1986, receiving their Royal Medal in 2001. He was given an Honorary Doctor of Science degree by the University of Birmingham in 1999 and by the University of Bristol in 2003. He was knighted in the 2002 New Year Honours “for services to Neurobiology and to the Advancement of Scientific Research”. In the third video below in the 121st clip in this series are his words and my response is below them. An interview of Sir Gabriel Horn by Sir Patrick Bateson on 16 January 2007, filmed by Alan Macfarlane. Yes, I did nearly die. On one occasion I was lucky to be alive after a massive hemorrhage. I can say one thing. I never took to religion. I was really true to myself. Although well knowing that I may die, I never thought I had to get myself converted to Judaism properly. It actually never crossed my mind. I always thought that if on my deathbed I do something funny like that those there will understand it doesn’t mean anything at all. When Dr. Horn made his statement he acted as if he made a deathbed conversion then his words would meaning nothing. I would admit that many people do say things that they don’t mean but when you are on your deathbed that would be a perfect time to be totally honest. I salute those who are honest for their honesty, but it should be after they examine the evidence fully concerning God’s existence and that would include the historical accuracy of the Bible. I corresponded with Carl Sagan during the final year of his life and I was sad that he died as an agnostic. That was his choice. I was appreciative that he took time to write me back and discuss these importance spiritual issues with me. Ironically, I corresponded with Antony Flew several times, but when he died it seemed as although many secular people were very made at the things he said in his final book There is a God: How the World’s Most Notorious Atheist Changed His Mind (2007) with Roy Abraham Varghese. Two of my biggest spiritual heroes were men who stood up the accuracy of the Bible. I remember like yesterday hearing my pastor Adrian Rogers in 1979 going through the amazing fulfilled prophecy of Ezekiel 26-28 and the story of the city of Tyre. In 1980 in my senior year (taught by Mark Brink) at Evangelical Christian High School, I watched the film series by Francis Schaeffer called WHATEVER HAPPENED TO THE HUMAN RACE? Later that same year I read the book by the same name and I was amazed at the historical accuracy of the Bible and the many examples from archaeology that Schaeffer gave and recently I have shared several of these in my current series on Schaeffer and the Beatles. The reason I did that was because many people in the 1960’s had taken non-rational leaps into such areas as communism, the occult, drugs, and eastern mysticism, but sitting right there in front of them was the historical accurate Bible which contained sufficient evidence to warrant trust. Anyone who has read my blog for any length of time knows that politically Milton Friedman and Ronald Reagan were my heroes. Spiritually my heroes have been both Francis Schaeffer and Adrian Rogers. An interesting fact about both of these two men and that is they both believed the Bible is the inspired and inerrant word of God. Both men defended the historical accuracy of the Bible even though both of the religious denominations they belonged to started to shift to the liberal view that the Bible contains errors in it. H.L. Mencken died when I was a young man and I read some of the stuff he wrote and he came at just the point of the total collapse of the American consensus back in the 1930’s or a little before. 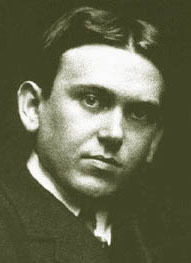 H.L.Mencken was very destructive to the American consensus and he was way out. It is he who said the famous thing about Dr. J. Gresham Machen. Dr. Machen was the man who was fighting the battle for historic Christianity against the liberals in the big denominations and expressly the Presbyterian denomination and the liberals were trying to laugh Machen out of court. But H.L. Mencken said a remarkable thing, “Well, if you really want to be a Christian there is only one kind of Christian to be and that is the Machen kind.” This is wonderful. This is exactly where the battlefield is. When you take Christianity and chip away at it like the liberals wanted to do then you don’t have anything left. This is no halfway war. If you are going to be a Christian you have to be a biblical Christian. Machen and Mencken understood this and this is my position too. Now, the Bible teaches that man was created by God and that he fell into sin. The evolutionist believes that he started in some primordial soup and has been coming up and up. And, these two ideas are diametrically opposed. What we call sin the evolutionist would just call a stumble up. And so, the evolutionist believes that all a man needs—he’s just going up and up, and better and better—he needs a boost from beneath. The Bible teaches he’s a sinner and needs a birth from above. And, these are both at heads, in collision. What is evolution? Evolution is man’s way of hiding from God, because, if there’s no creation, there is no Creator. And, if you remove God from the equation, then sinful man has his biggest problem removed—and that is responsibility to a holy God. And, once you remove God from the equation, then man can think what he wants to think, do what he wants to do, be what he wants to be, and no holds barred, and he has no fear of future judgment. To some it may seem strange that an international Presbyterian apologist and analyst of pop culture would take such interest in a Baptist controversy over biblical inerrancy. But to Schaeffer it made perfect sense. He believed churches were acquiescing to the world, abandoning their belief that the Bible is without error in everything it said. 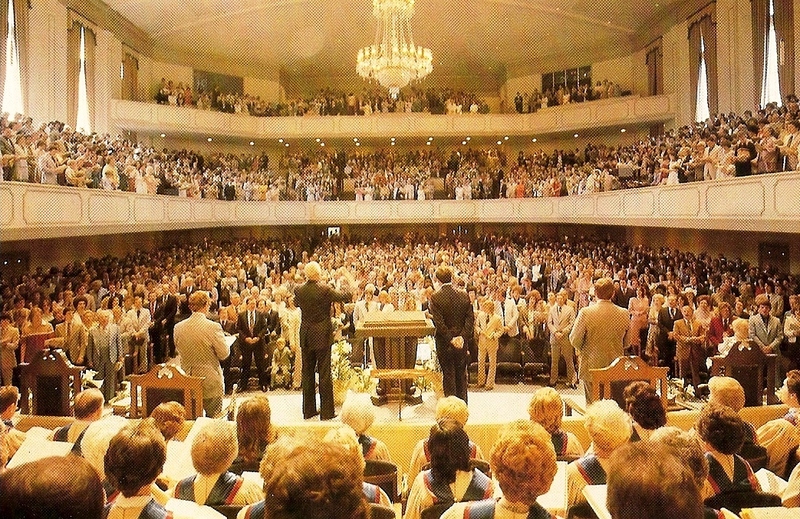 A watered-down theology left the SBC with decreased power to battle cultural evils. To Schaeffer the convention was the last major American denomination with hope for reversing this “great evangelical disaster,” as he put it. Thirty years after Schaeffer’s death, Baptist leaders still remember how he took time from his speaking, writing and filmmaking schedule to quietly encourage Patterson; Paul Pressler, a judge from Texas with whom Patterson worked closely during the conservative resurgence; Adrian Rogers, a Memphis pastor who served three terms SBC president; and others. 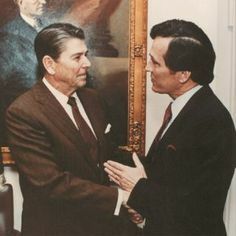 By the early 1990s, conservatives had elected an unbroken string of convention presidents and moved in position to shift the balance of power on all convention boards and committees from the theologically moderate establishment. But at the time of Schaeffer’s annual calls, the outcome of the controversy was still in doubt. 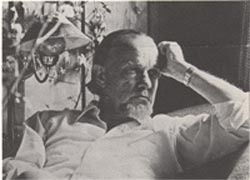 Schaeffer’s interest in engaging culture made him particularly appealing to Southern Baptist conservatives. He helped provide them with a “battle plan” to fight cultural evils and what they perceived as theological drift in their denomination, Richard Land, president of Southern Evangelical Seminary, told BP. Along with theologian Carl F.H. Henry, Schaeffer was the key intellectual influence on leaders of the conservative resurgence, Land said. When conservatives started to be elected as the executives of Baptist institutions, Henry spoke at Land’s inauguration at the Christian Life Commission (the ERLC’s precursor), R. Albert Mohler Jr.’s at Southern Baptist Theological Seminary in Kentucky and Timothy George’s at Beeson Divinity School in Alabama. “If Schaeffer had still been alive, we would have had him come,” Land said. He noted that Schaeffer was “close” to Rogers and “admired” by Bailey Smith, two conservative SBC presidents. Edith Schaeffer and Patterson’s wife Dorothy were close friends and traveled together in the early 1980s speaking on the importance of the home. Clark Pinnock, a former New Orleans Baptist Theological Seminary professor who mentored conservative resurgence leaders before taking a leftward theological turn in his own thinking, served on Schaeffer’s staff at L’Abri. Mount Sinai is one of the most important sites of the entire Bible. It was here that the Hebrew people came shortly after their flight from Egypt. Here God spoke to them through Moses, giving them directions for their life as newly formed nation and making a covenant with them. 11 You came near and stood at the foot of the mountain while it blazed with fireto the very heavens, with black clouds and deep darkness. 12 Then the Lordspoke to you out of the fire. You heard the sound of words but saw no form;there was only a voice. Moses emphasized that those alive at the time had actually heard God’s voice. They had received God’s direct communication in words. They were eyewitnesses of what had occurred–they saw the cloud and the mountain burning with fire. They saw and they heard. Moses says, on the basis of what they themselves have seen and heard in their own lifetime, they are not to be afraid of their present or future enemies. Thus the people’s confidence and trust in God and their obedience to Him are alike rooted in truth that is historical and open to observation…The relationship between God and His people was not based on an upward experience inside their own heads, but upon a reality which was seen and heard. They were called to obey God not because of a leap of faith, but because of God’s real acts in history. For God is the LIVING GOD….”Religious Truth” according to the Bible involves the same sort of truth which people operate on in their everyday lives. If something is true, then its opposite cannot also be true. From the Bible’s viewpoint, all truth finally rests upon the fact that the infinite-personal God exists in contrast to His not existing. This means that God exists objectively. He exists whether or not people say He does. The Bible also teaches that God is personal. Much of the Bible is in the sphere of normal existence and is observable. God communicated himself in language. This is not surprising for He was the creator of people who use language in communicating with other people. In the Hebrew (and biblical) view, truth is grounded ultimately in the existence and character of God and what has been given us by God in creation and revelation. Because people are finite, reality cannot be exhausted by human reason. It is within this Judeo-Christian view of truth that, by its own insistence, we must understand the Bible. Moses could appeal to real historical events as the basis for Israel’s confidence and obedience into the future. He could even pass down to subsequent generations physical reminders of what God had done, so that the people could see them and remember. 21 Afterward Jesus appeared again to his disciples, by the Sea of Galilee. [a] It happened this way: 2 Simon Peter, Thomas (also known as Didymus[b]), Nathanael from Cana in Galilee, the sons of Zebedee, and two other disciples were together. 3 “I’m going out to fish,” Simon Peter told them, and they said, “We’ll go with you.” So they went out and got into the boat, but that night they caught nothing. 4 Early in the morning, Jesus stood on the shore, but the disciples did not realize that it was Jesus. 6 He said, “Throw your net on the right side of the boat and you will find some.”When they did, they were unable to haul the net in because of the large number of fish. 7 Then the disciple whom Jesus loved said to Peter, “It is the Lord!” As soon as Simon Peter heard him say, “It is the Lord,” he wrapped his outer garment around him (for he had taken it off) and jumped into the water. 8 The other disciples followed in the boat, towing the net full of fish, for they were not far from shore, about a hundred yards. [c] 9 When they landed, they saw a fire of burning coals there with fish on it, and some bread. 10 Jesus said to them, “Bring some of the fish you have just caught.” 11 So Simon Peter climbed back into the boat and dragged the net ashore. It was full of large fish, 153, but even with so many the net was not torn. 12 Jesus said to them, “Come and have breakfast.” None of the disciples dared ask him, “Who are you?” They knew it was the Lord. 13 Jesus came, took the bread and gave it to them, and did the same with the fish. 14 This was now the third time Jesus appeared to his disciples after he was raised from the dead. The resurrected Christ stood there on the beach of the Sea of Galilee. Before the disciples reached the shore, He had already prepared a fire with fish cooking on it for them to eat. It was a fire that could be seen and felt; the fire cooked the fish, and the fish and bread could be eaten for breakfast. Thomas, Christ tells us, should have believed the ample evidence given to him of the physical evidence of the resurrection by the other apostles. Christ rebuked him for not accepting this evidence.He at that time and we today have the same sufficient witness of those who have seen and heard and were able to touch the resurrected Christ and were able to observe what He had done. Because Thomas insisted on seeing and touching we have a more sure witness than we otherwise would have had. In the testimony of those who saw and heard we have a sure witness and this includes Thomas’ doubt and his personal verification which removed that doubt. WE SHOULD BOW BEFORE THE TOTAL WITNESS OF THE RECORD WHICH WE HAVE IN THE BIBLE, OF THE TESTIMONY OF THE EXISTENCE OF THE UNIVERSE AND IT’S FORM AND THE UNIQUENESS OF MAN. IT IS ENOUGH! BELIEVE HE HAS RISEN. Even communication between one created person and another is not exhaustive; but that does not mean that for that reason it is not true. If the uncreated Personal really cared for the created personal, it could not be thought unthinkable for him to tell the created personal things of a propositional nature; otherwise, as a finite being, the created personal would have numerous things he could not know if he just began with himself as a limited, finite reference point. 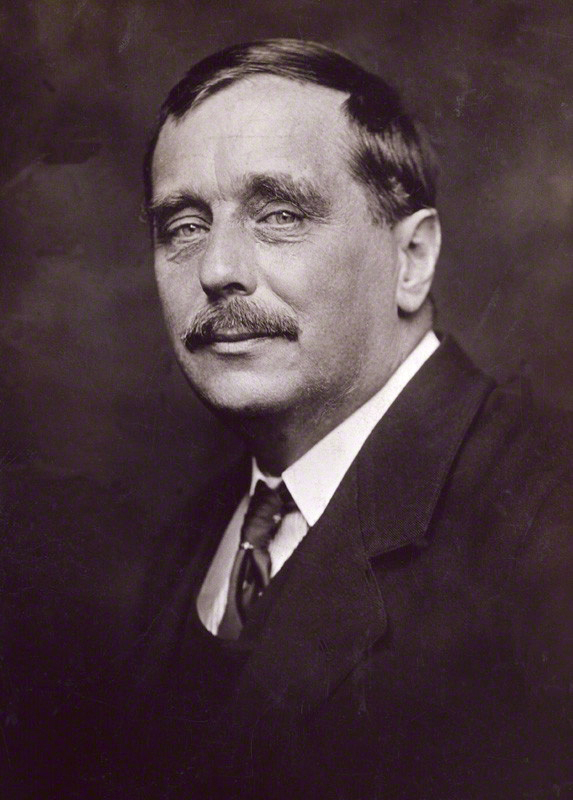 “The importance of all this is that most people today (including some who still call themselves evangelical) who have given up the historical and biblical concept of revelation and infallibility have not done so because of the consideration of detailed problems objectively approached, but because they have accepted, either in analyzed fashion or blindly, the other set of presuppositions. Often this has taken place by means of cultural injection, without their realizing what has happened to them” (349, emphasis added). In the days ahead, I hope to share how propositional truth is foundational to personal truth and give a few examples of the redefinition of revelation in contemporary contexts. Long ago, at many times and in many ways, God spoke to our fathers by the prophets, but in these last days he has spoken to us by his Son, whom he appointed the heir of all things, through whom also he created the world. THE DEMON-HAUNTED WORLD: Science as a Candle in the Dark by Carl Sagan. New York: Random House, 1995. 457 pages, extensive references, index. Hardcover; $25.95. PSCF 48 (December 1996): 263.